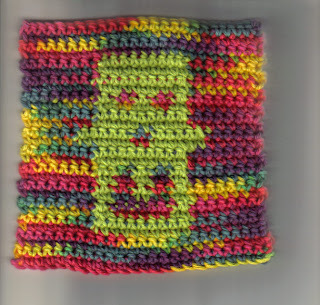 I decided to show a washcloth that Khloe and I designed. It's done in single crochet with cotton yarn. It's very colorful, kind of like Miss Khloe herself!